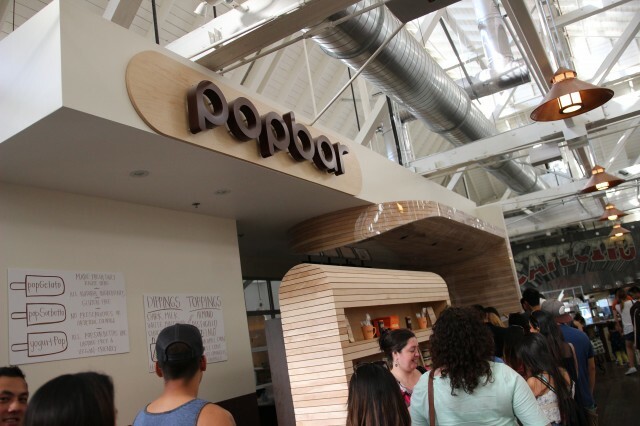 Popbar inside the Anaheim Packing District is a popular spot to visit. They offer gelato on a stick, and they dress it up with toppings and drizzles to your liking. It really isn’t anything special, but the fact that you can dress up your own “naked” ice cream pop makes it fun and specific to you. You can dip in chocolate half way, all the way, stick some nuts on there or other flavors. It’s all up to you, and it is all delicious. 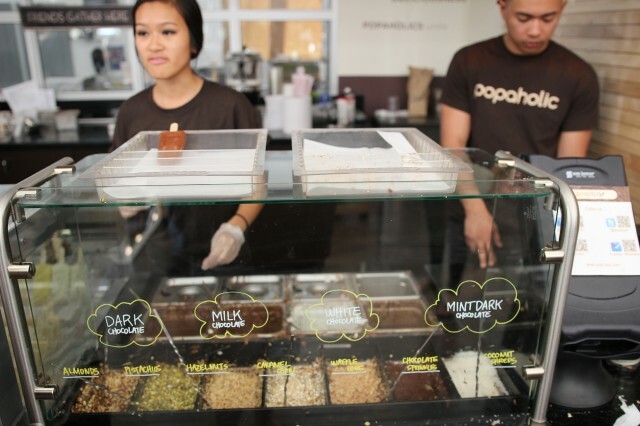 After getting your grub on inside the Anaheim Packing District, Popbar is a popular destination to get your dessert. Hers was a pistachio pop with half dark chocolate and white chocolate drizzle. The dark chocolate had pistachio and the white chocolate had waffle cone crumbles. Mine was a chocolate bar with half dark chocolate with pistachios. The pistachio bits is a must. It’s rare to have pistachios at an ice cream joint, and I think more places need to offer it. The pistachio and ice cream/gelato was delicious. The chocolate mixed in with the gelato was good as well. The best was the waffle crumbles. It was like having a waffle come, but not. 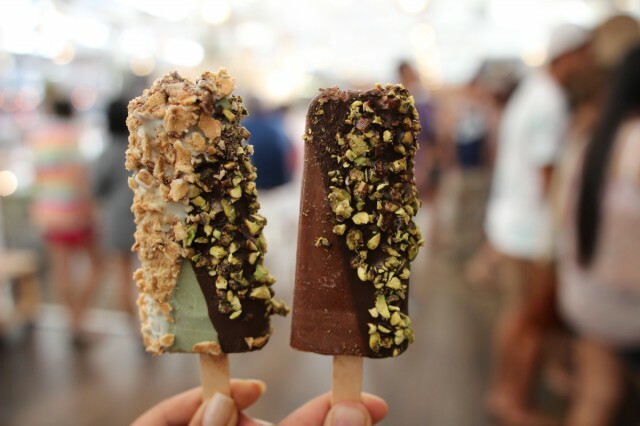 Popbar is a delicious ice cream alternative to your average ice cream in a cup or cone. Their flavors are great together and it is fun to eat gelato on a stick. It does get a bit pricey though, and for the amount of actual ice cream you are getting, there are better places that offer more for your buck. This is the Packing District though. You come here for the fun hippie skippy atmosphere and good food — the high prices come with that. It’s fun to try it once, but it’s definitely not OMG “take all my money” good, but for sure, the best ice cream spot you can eat with one hand.